Just in the nick of time, I'm proud to announce that I've successfully completed my 2015 Vintage Sewing Pattern Pledge! Before I launch into some details, I wanted to remind you that there are still two days left (excluding today) to enter our end-of-year competition with awesome prizes up for grabs. In the meantime, Kerry and I are cooking up plans for #VintagePledge 2016, so watch this space! I chose the rather beautiful Simplicity 4147 from my stash and paired it with this gorgeous rose-print jacquard from Weaver Dee, alongside some black taffeta. I wanted a perfectly festive dress and I got it...a bit too late for Christmas, but still in time for New Year's Eve! Undeniably, the most stunning thing about this pattern is the bodice design. It's a tricky little mistress for sure, but well worth the effort in my opinion. I blogged about the interesting construction, but I must admit that I was lucky my choice of fabrics were a pleasure to work with, much to my surprise. As with most vintage patterns, I had to do a fair bit of tweaking to get the fit right, but I'm so pleased with how it turned out! All in all, I had to shorten the bodice pieces by 2cm, pinch 2cm out of the front neckline, increase the back neckline dart, slim down the sleeves and shorten the skirt by 18cm. The pattern came with instructions for a bow belt, but I decided it was high time to give Tilly's popular tutorial a whirl and I'm glad I did. It really does add a lovely finishing touch to the dress. There was no way I had the patience for hooks and eyes though, so I chose to fasten mine with a well-hidden button/buttonhole. Did you join the #VintagePledge this year? The creations are simply phenomenal! 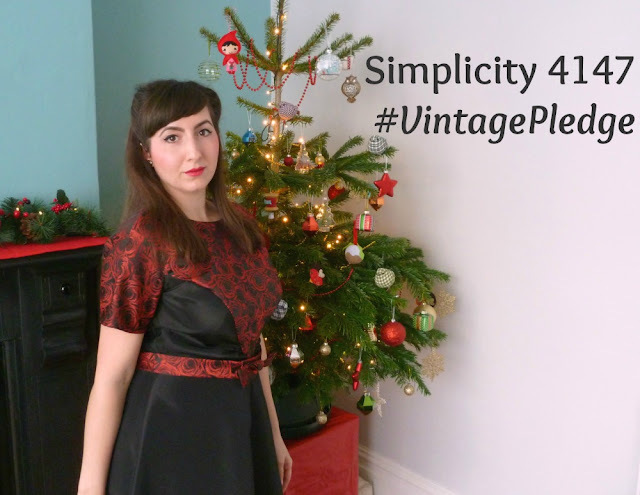 Are you up for some more #VintagePledge shenanigans in 2016? This is lovely, festive without screaming "Christmaaaaaas". It shows the jacquard fabric off perfectly. Congratulations on successfully meeting your pledge! I'm going to fall short on mine, but I'm definitely up for trying to do better in 2016! What a gorgeous dress. It looks absolutely gorgeous on you. I didn't manage to complete my pledge sadly. What with pregnancy and then giving birth my body shape changed so many times I couldn't keep up! There's definitely plenty of vintage makes on my to do list once I'm back to my pre preggers shape though! Gorgeous dress and I'm so excited you're going to be back for another vintage pledge next year! It's a beauty! The construction lines give it great detail and shaping and the bow-belt is perfect! That dress is stunning - everything about it from the bodice to the fabric. What a lovely dress! The fabric is fantastic. Well done for getting in a last minute make! I have had a fab time with the vintage pledge this year. A beautiful dress Marie. All the best for you and yours in 2016! I will join in with the Vintage Pledge again this year - my participation last year was a little poor (I only made one thing - ooops). 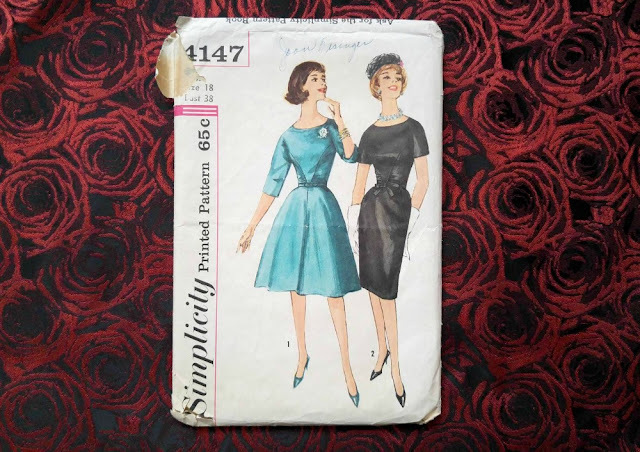 I have several patterns I would like to make so I must make sure they get made in 2016! Gorgeous! 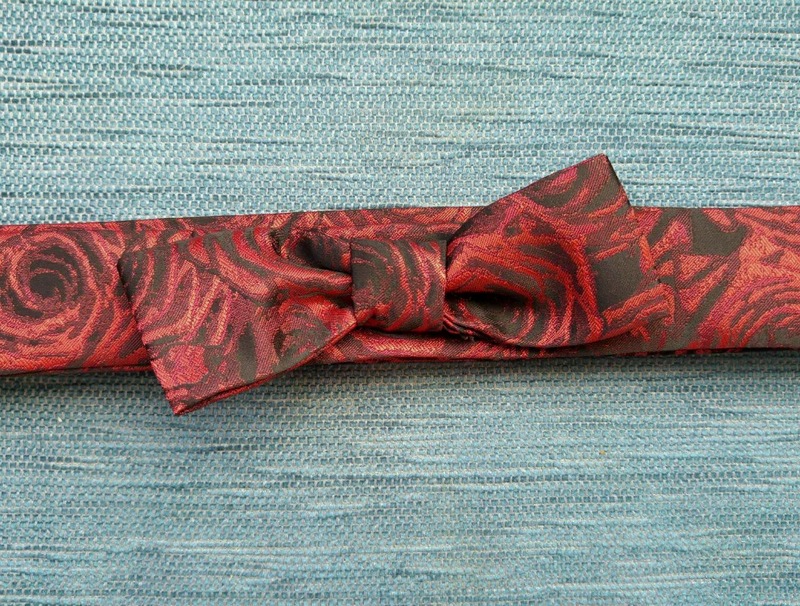 I think the bow belt is the perfect additions--but then I think a bow makes anything better... Excited for Vintage Pledging in 2016! !